An unexpected aspect of the media coverage of the LHC startup was a public disagreement between two world-famous physicists: cosmologist Stephen Hawking and particle physicist Peter Higgs (the latter first postulated the existence of the Higgs field and the famous Higgs boson). Not for the first time, Peter Higgs has not responded kindly to Steven Hawking’s remarks, stating that he feels that the Hawking analysis is seriously flawed…this story got great coverage in the press, and you can read the view of physicists on it about it here and here. 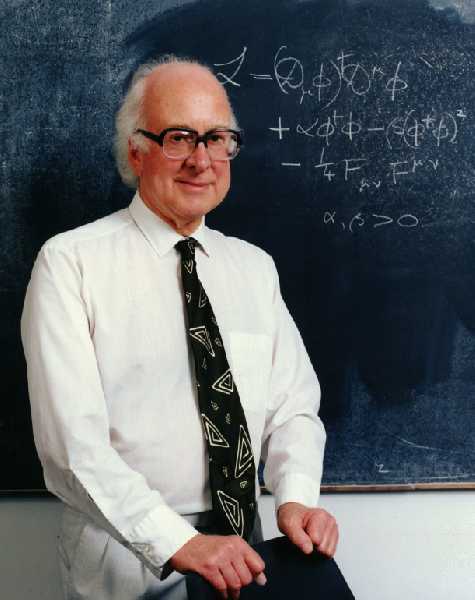 I suspect there is more to this story than meets the eye: Peter Higgs is an extremely quiet, self-effacing scientist, long retired, who rarely comments on physics in public or seeks the limelight. His reaction to Hawking’s bet is not attention-seeking, but represents the view of the particle physics community (I have often heard similar views expressed by particle physicists I know). After all, one of the major reasons for building the LHC in the first place is precisely the detection of the Higgs particle – in other words, most particle physicists expect it to show up at the energies available. It’s worth remembering that theoretical particle physics is a very special branch of physics. Concerned primarily with the worlds of quantum physics (because particles are so small) and that of special relativity (because small particles can travel at relativistic speed), it has traditionally been considered to be the most difficult, abtruse and mathematical area of all of physics. Cosmology, by contrast, was considered a fairly speculative science until the 1970s. It’s only in recent years that cosmology has started to attract great theoreticians such as Roger Penrose and Stephen Hawking. 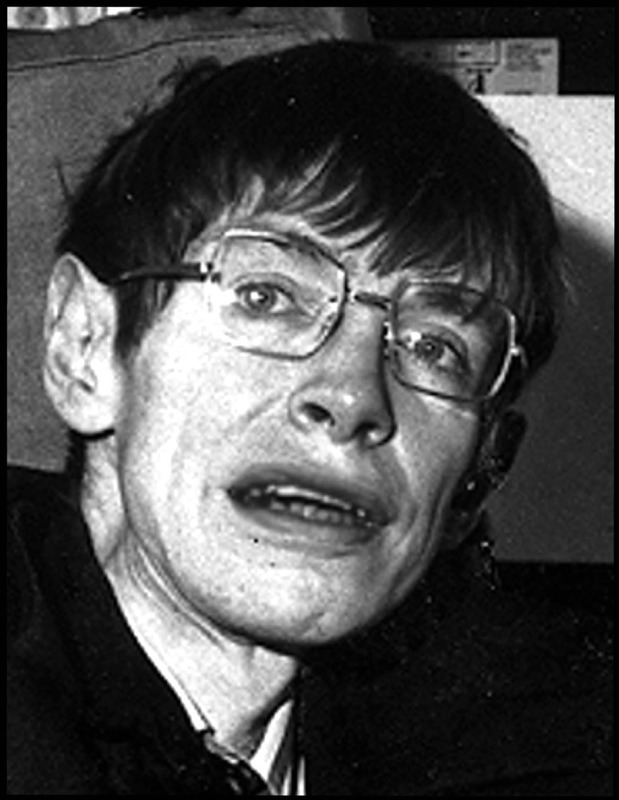 However, although Hawking is highly respected as a cosmologist (and as a great populariser of science), he frequently comments on fields far from his area of expertise – notably on particle physics. It’s unfortunate, as he occasionally makes fairly outlandish statements that really irritate the particle physicists. Thousands of particles explode from the collision point of two gold ions in the STAR detector of the Relativistic Heavy Ion Collider. Electrically charged particles are discernible by the curves they trace in the detector’s magnetic field. That said, in the same statement it’s interesting that Hawking says that he thinks there is a good chance that supersymmetry (see post below) might be seen at the LHC – which is nice to hear. Generally, evidence for supersymmetry is expected to be more elusive than evidence for the Higgs – but if found, SUSY will open up a whole new vista in particle physics (while evidence for the Higgs will close a chapter). Hence, I for one suspect Hawking’s bet on the Higgs was taken with tongue firmly in cheek. Update: there is a very nice (and rare) interview with Peter Higgs in last week’s issue of New Scientist. In the interview, Higgs hints that, as a new generation of mathematicians turned their attention to the Higgs field in the 1970s, he began to feel a little out of his mathematical depth. He turned to the emerging field of supersymmetry, but soon ran into the same problem. 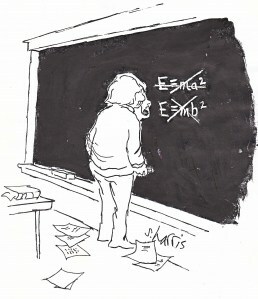 Intruiging that even the best minds could have problems with the maths of particle physics! great site and great topics..
Hey Hoops, good to hear from ya…yeah, there always seems to be some science in the news worth blogging about, I’m not sure I expected the blog to last this long!